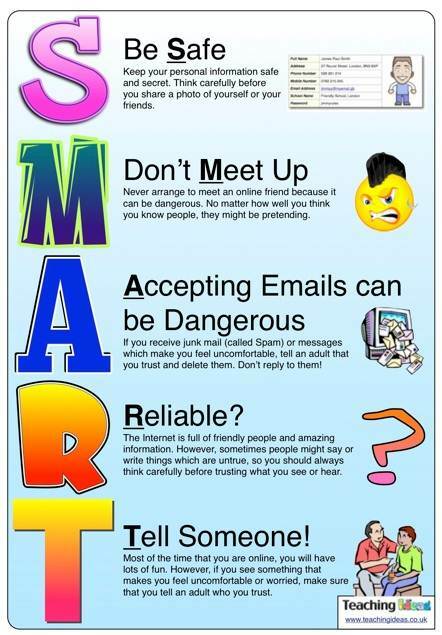 Learning about staying safe online is very important. 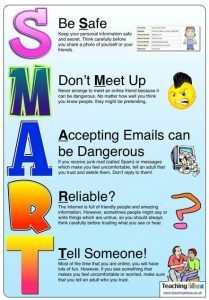 At Beech Hill Primary School we make sure our pupils are aware of some of the risks to safety that are online and what to do to stay safe. We have a set of rules which the children are expected to follow at home and in school to make sure they stay safe online. These rules can be viewed below and should be followed when using all kinds of technology such as mobile phones, games consoles and home computers. We use the internet safely to help us learn. We learn how to use the internet. We can send and open messages with an adult. We can write polite and friendly e-mails or messages to people that we know. We only tell people our first name. We learn to keep our password a secret. We know who to ask for help. If we see something we do not like we know what to do. We know that it is important to follow the rules. We are able to look after each other by using our safe internet. We can go to www.thinkuknow.co.uk for help. Follow the S.M.A.R.T. Rules when using the internet both at home and at school.